I recently joined Ravelry and immediately found a group that spoke to my heart and to my newly acquired and rapidly growing sock yarn addiction. 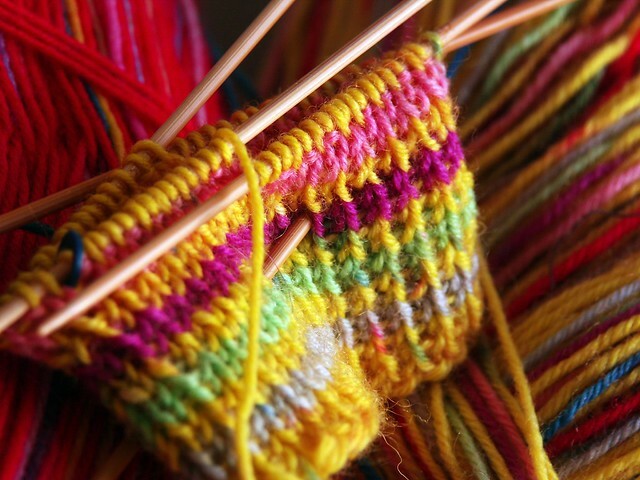 The goal of The Year Of Stash Socks or YOSS is to knit a pair of socks a month, only using yarn from your stash. Each month there will be two new sock patterns to choose from, along with an option to make a plain vanilla sock, knitters' lingo for the basic toe up or down pattern. For January I'll be knitting plain vanilla in red and yellow, the twins to my Christmas Joy Socks, out of Supersocke 100 by Online. I guess I'll call these my Happy New Year Socks. Of course the purpose of the YOSS is to knit with what you have. Which goes hand in hand with my main intention for 2011, to cultivate an attitude of gratitude for what I have in my life in the present moment, to let go of yearning for what I don't have, and to stop worrying about outcomes. What are your intentions, aspirations, goals for 2011?